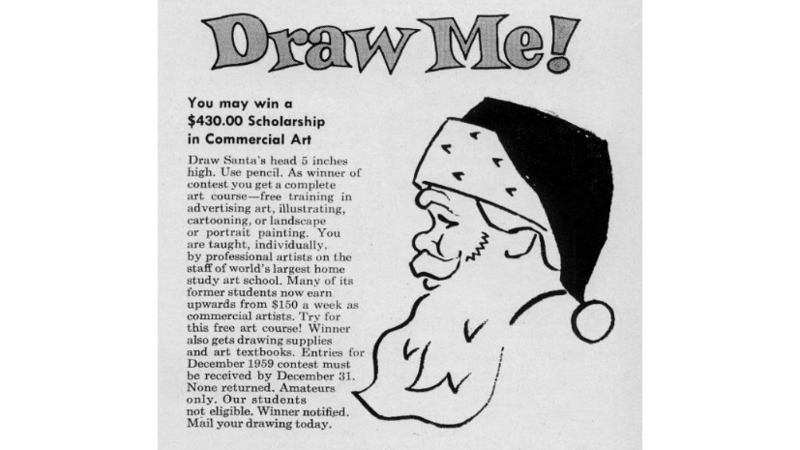 The ad: If you can draw the cartoon in the ad — usually the face of a cowboy, a well-dressed woman, or some other character in profile — you had a chance at a $US430 "scholarship". The reality: Art Instruction, Inc. is a correspondence art school. They sold and conducted real classes, although the New York Times reported in 2002 that each instructor oversees over 1000 students, so you probably don't get much individualised attention. A prospective student said in 2006 that the company sent a rep to his house to see whether he was good enough to earn the "scholarship" and take a course for free, but all he got was a hard sales pitch. Price in today's dollars: $US430 back then is about $US3700 ($4759) now. The company has been around for 90 years, and only just stopped accepting students since they plan to shut down next year. Their website gives the most recent price as $US4285 ($5511) for the full course, custom textbooks included. I prefer to consider such gizmotron products as kind of a friendly joke. The buyer understands, somewhere in his head, not to expect miracles, but you can still hope for them. The company provides a not-expensive learning experience (and I don't mean learning about being ripped off!!) and makes a little money as well. 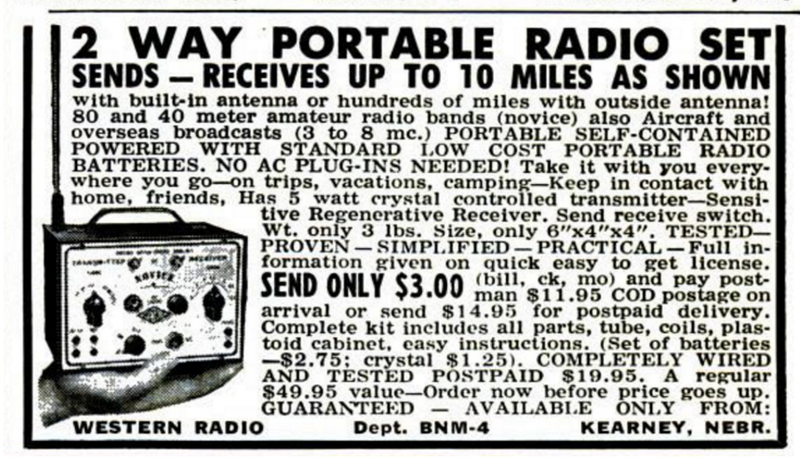 Price in today's dollars: $US130 ($167) for the DIY kit, $US174 ($224) pre-assembled, according to this inflation calculator. 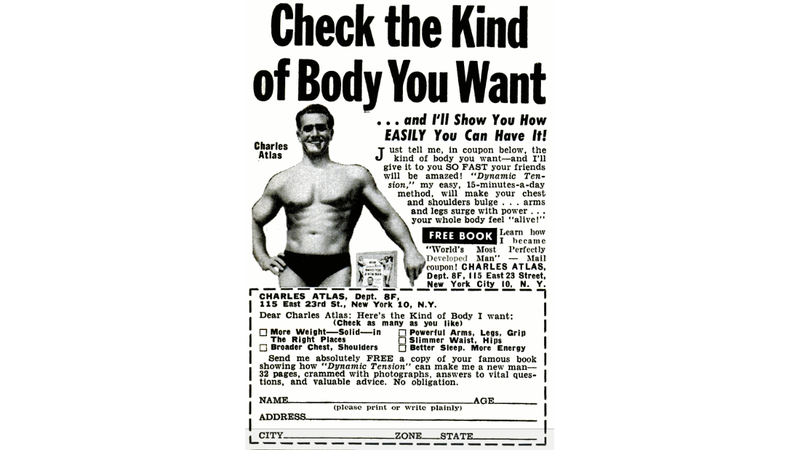 The ad: Charles Atlas promises to give you an amazing body like his. This ad campaign's tropes through the years have included a transformation from a "97-pound [44kg] weakling", winning over girls who don't date "skinny" guys, and getting back at the bully who kicked sand in your face. Atlas can make you "a new man" in just seven days. Commenter ddyte dug up some Charles Atlas literature to share with us, for which I am eternally grateful (or for at least seven days). 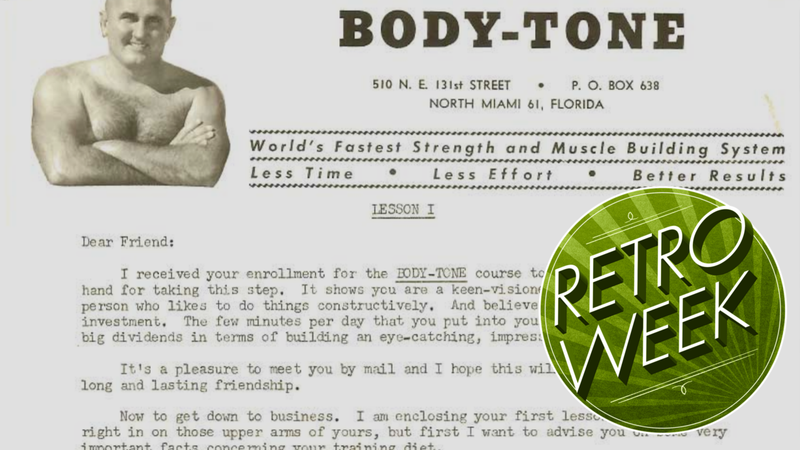 Here's the Charles Atlas Body Building System booklet. It details some exercises you can do at home. It also advises you to get enough sleep, keep a positive attitude, and listen to good music. The nutrition lesson advises students to avoid ice-cold drinks, white bread, pastries, fatty meats, spicy foods, sugar, white rice (brown is OK), coffee and tea. You don't want impurities in your blood, after all. Protein, vegetables, whole grains and warm water are all approved. Price in today's dollars: Unclear. You can buy a copy today for $US32 ($41) on Amazon. The reality: The "Bust Developer" was a small pink exercise gadget, like a tiny Thighmaster you hold between your hands. Squeeze it in various ways, and you'll be working your pecs (the chest muscles under your breasts). This might enlarge your chest measurement a tiny bit, but it's not going to give you a body like the women in the ads. The US postal service declared in 1966 that the bust developer racket constituted mail fraud, but litigation went back and forth until 1981, when the product was finally retired. Price in today's dollars: Around $US50 ($64). The ad: Promises "illusory" X-ray vision. Some ads show a guy looking at the bones in his hand; others imply that you can see through women's clothes. The reality: "Illusory" is right. It's an illusion, as the fine print explains above. 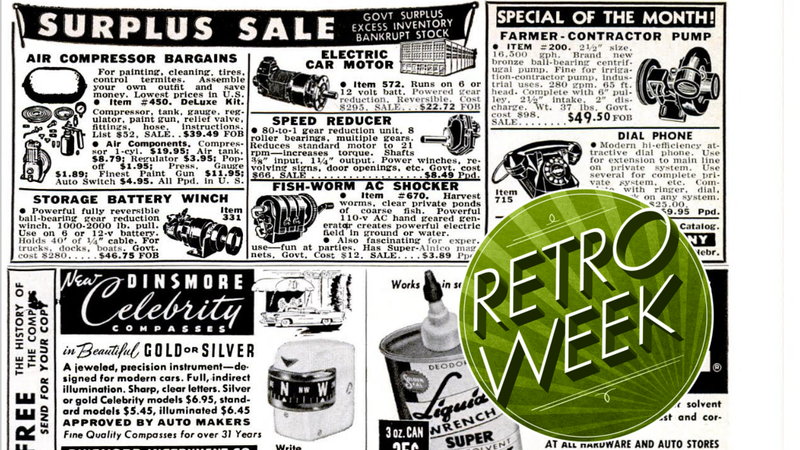 (Some ads were too small to fit in a clear caveat, though.) The glasses have paper in place of lenses, with a small hole in the paper, and a feather glued in the viewing area. When you look through the feather, you get a sort of double vision, making it look (if you have a lot of imagination) like you're seeing the bones in your hand. Price in today's dollars: Around $US10 ($13). 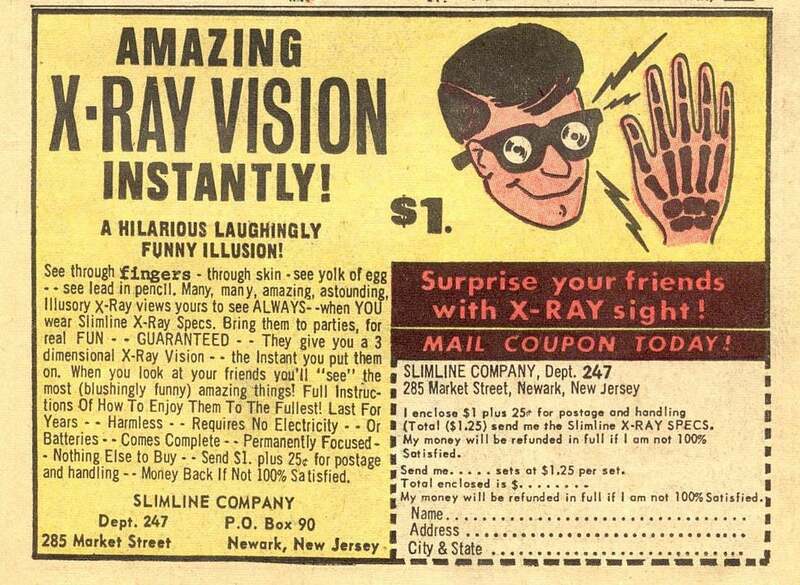 I bought the X-Ray glasses from Bernard’s Magic Shop in Elizabeth St. Yes it was just a feather between cardboard. If you read the fine print, it said it was an illusion.